The UNM Area is bounded by I-25 and San Mateo, and by Central and Indian School. 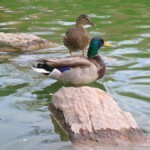 This area is home to the University of New Mexico, Popejoy Theater, University Hospital, and the scenic Duck Pond. 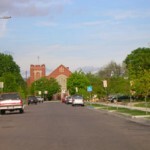 The UNM area includes an eclectic mix of unique architectural homes on tree-lined streets. The historic Nob Hill district enjoys award-winning dining establishments and trendy boutiques. See Nob Hill Homes for Sale. The UNM South area is bounded by I-25 and San Mateo, and by Central and Gibson/ABQ Sunport. Conveniently located to UNM, KAFB, and downtown Albuquerque, UNM South has historic districts as well as new homes. Shopping includes the funky Nob Hill neighborhood with art galleries, restaurants, and a vibrant nightlife. Services include Presbyerian Hospital, the largest acute care hospital in New Mexico, and CNM's main campus. Sporting complexes include the Isotopes Park (baseball) and "The Pit"--home of the UNM Lobos. The Downtown Albuquerque area is bounded by I-25 and the Rio Grande River, and by I-40 and Cesar Chavez. Currently undergoing revitalization, downtown Albuquerque has a lively entertainment district including restaurants in the EDO area, theaters, and nightclubs. 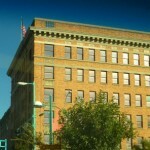 Many older buildings have been converted into modern luxury lofts. Downtown Albuquerque also includes many public transportation options helping to build community sustainability.